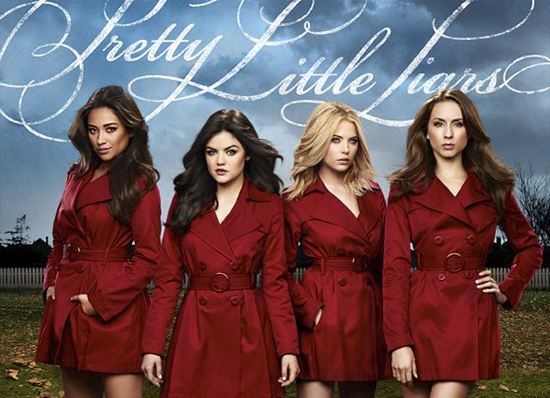 ABC Family’s most successful show, Pretty Little Liars, is back. Thankfully for the fans, there’s not much danger of the TV series being cancelled anytime soon. It’s already been renewed for a fifth season. Still, it’s fun to track the ratings. Airing on Tuesday nights, the cast of Pretty Little Liars includes Ashley Benson, Chad Lowe, Holly Marie Combs, Ian Harding, Janel Parrish, Laura Leighton, Lucy Hale, Sasha Pieterse, Shay Mitchell, Troian Bellisario and Tyler Blackburn. These are the latest fourth season ratings and the list will be updated after each new episode airs. Final season averages: 1.1 rating in the 18-49 demographic with 2.53 million total viewers. Reference point: The third season of Pretty Little Liars averaged a 1.1 in the demo with 2.59 million total viewers. What do you think? Do you still like the Pretty Little Liars TV series? Do you think that it should have been cancelled or renewed for a fifth season? I wish this show got cancelled instead of Ravenswood . What I mean is that this already had 4 seasons why couldn’t they have finished it in the 4th seasons. Ravenswood was rubbish compared to Pretty Little Liars, hence why Pretty Little Liars gets millions of viewers in every episode and the fans always break twitter records. So, no. This show shouldn’t be cancelled. It continues to be interesting every episode. Pretty little liars with good but then it’s become way to long to watch I mean I can see 4 seasons but no ****** 7 seasons that’s is way to much and I think it’s just repeating and dragging every episode even during season 4 it’s was dragging a bit. Now it’s just become obsessive.